Can't stop, won't stop shopping all these great deals. I'm mildly obsessed with all of these items girls. 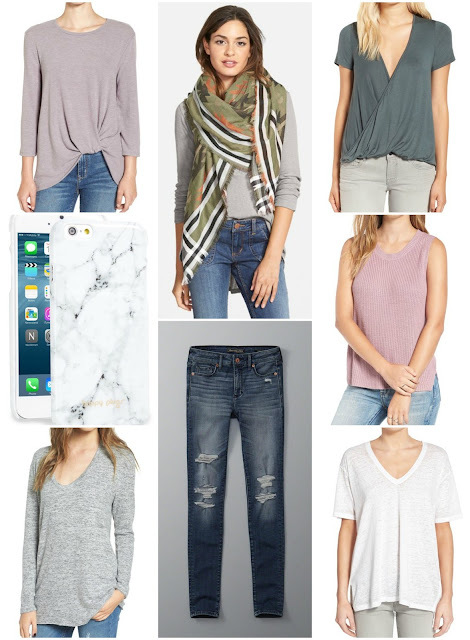 I've purchased almost all of them (hey, they are either on sale or very inexpensive) recently except for the sleeveless sweater, and I've been wearing them so much. This phone case is the cheapest one I've found with the marble finish..it's super cute! As for all the shirts that are BP brand-I recommend sizing down because they tend to run big. The knot front sweater I got in a medium.